Go on a modern Asian adventure at Ce La Vi restaurant with executive chef Joseph Sergentakis' new menu. Highlights include a Hokkaido scallop and oyster ceviche ($34) with pomelo, calamansi, lemongrass oil and coriander dressing; and seared king salmon tataki ($26) with jalapeno coulis, smoked ikura and crispy taro root - a good balance of flavours and textures. My favourite dish is the steamed Kuhlbarra barramundi and naam jim dressing ($44), which comes in a robust spicy broth made with bonito flakes and tamarind. For a dramatic finale to your meal, Ce La Vi's premium dessert platter (above, $32, $56 or $80) - complete with dry ice - offers a chef's selection of desserts including mango lassi cotton cheesecake; pavlova; and chocolate and hazelnut truffle cake. A selection of a la carte dishes - which changes on a monthly basis - are also available for Ce La Vi's weekend Lazy Lunch. In addition to the selection of existing dim sum menus (from $68 to $108 a person) at The Fullerton Hotel Singapore's Jade restaurant, a more family-friendly option is now available. The weekend Family Day set menu (above) is priced at $48 a person, with a minimum of four people to dine. 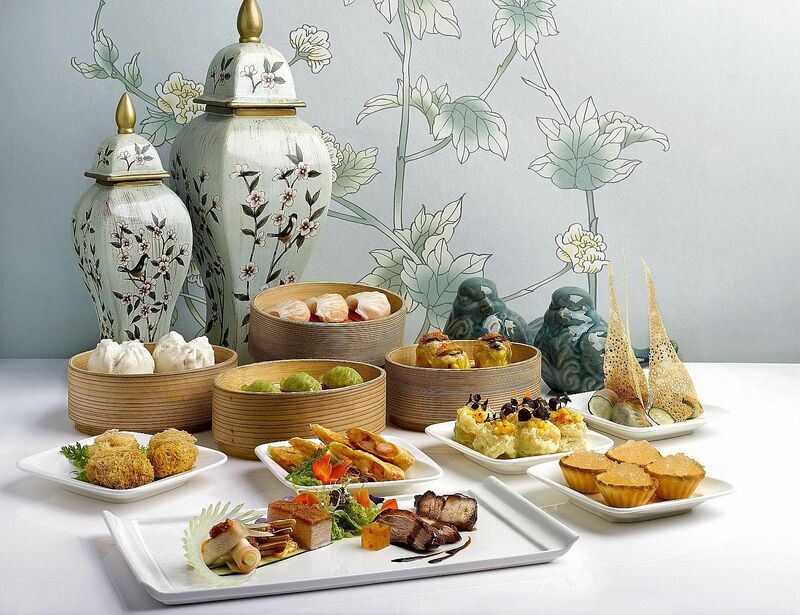 It includes an assortment of dim sum items such as steamed abalone siew mai; pan-fried spiced chilli crab meat bun; and deep-fried taro stuffed with wild mushrooms and truffles. Besides dim sum, the sumptuous spread also features a supreme seafood broth with coral beancurd; deep-fried prawns coated with wasabi mayonnaise; and stir-fried sliced beef hor fun in fermented black bean sauce. The a la carte menu has also expanded, so you can add extra dishes such as simmered housemade green chives beancurd with salted pork and shrimp roe ($20); and crispy roasted pork belly ($18). Indulge in a dim sum buffet at Si Chuan Dou Hua at Parkroyal in Kitchener Road. The buffet showcases a variety of 40 hand-crafted dim sum delights, along with a dessert bar to complete a satisfying lunch. 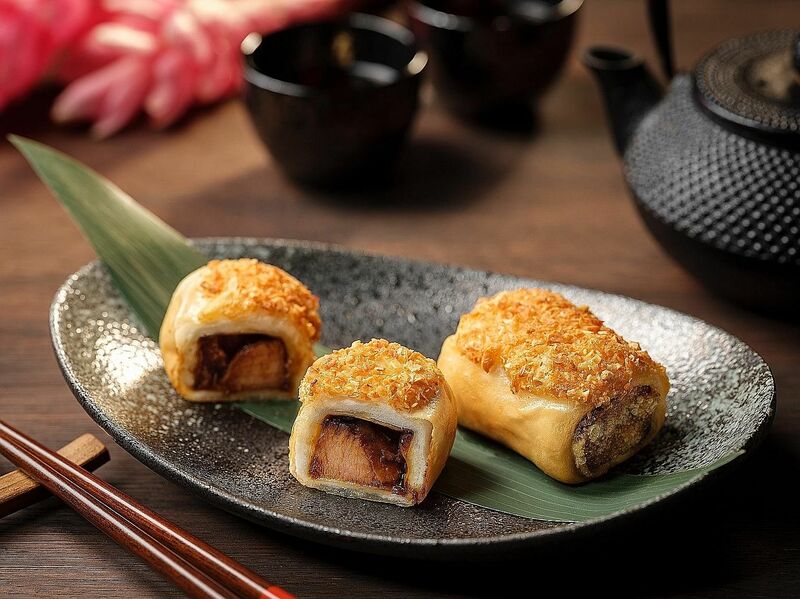 Highlights include deep-fried lotus with minced fish; Hakka dumpling with turnip; deep-fried signature pork belly roll with yam (above); and steamed vegetarian dumpling with black truffle. Diners will also get a serving of dishes such as double-boiled chicken soup with abalone, sea whelk, cordycep flowers and conpoy; flatfish with signature soya bean crumb in osmanthus sauce; and combination of "Chong Qing" diced chicken with spicy dried chilli and chilled chicken in spicy bean paste. Dessert bar offerings include double-boiled lotus soup with mini glutinous rice balls; chilled osmanthus jelly with honey; and housemade beancurd with wolfberry. Italian restaurant Zafferano's new head chef Emanuele Faggi from Tuscany, Italy, has revamped the menu with plenty of delicious new items that showcase his roots. Back in 2013, he came to Singapore to helm Gaia Ristorante at Goodwood Park Hotel and, prior to joining Zafferano, was a chef-consultant at Donizetti restaurant in Milan as well as a private chef. I like that chef Faggi pays attention to minimising food wastage, so any food discards such as the skin of onions, tomato and carrot, and used coffee beans, are made into powder. These elements are cleverly used in dishes for plating and added flavour. Some stand-out starters include the raw Hokkaido scallops ($32), sprinkled with dried capers powder, topped with avruga caviar and served with saffron sauce; and raw Mazara red prawns ($32), served with warm ricotta, tomato confit, cocktail sauce espuma and drizzled with basil oil. 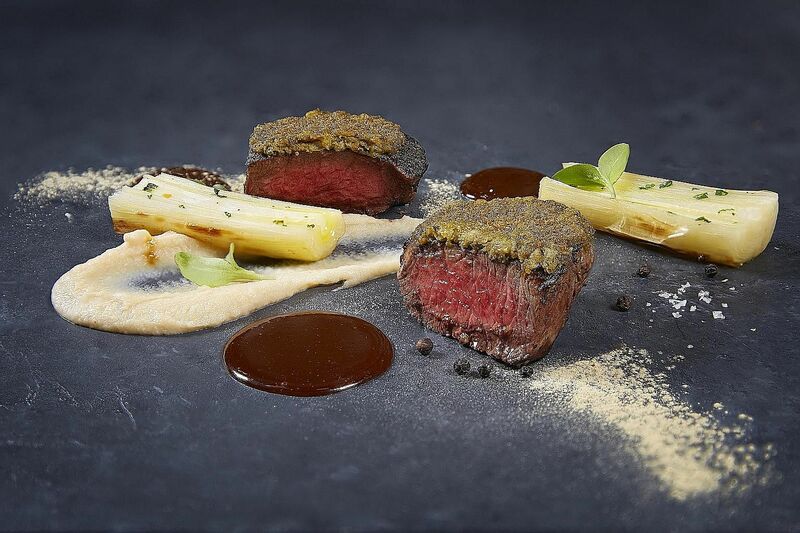 For mains, meat-lovers will enjoy the 150 days grain-fed Black Angus beef tenderloin gratinated with liquorice and capers (above, $58), celery root puree, grilled leeks and burnt onion powder. While I'm not usually a fan of liquorice, the strong flavour works well with the beef and celery root puree. I also enjoy the roasted "Bresse" pigeon cooked two ways, which is served with mixed berries puree, rosemary and smoked white turnips. The braised legs and the breast - smoked in rosemary before serving - are cooked till perfectly tender. Book a meal at Ce La Vi, Si Chuan Dou Hua and Zafferano with Chope.